In a motion filed in court Wednesday, prosecutors in the Chris Watts case are seeking inked footprints of both the defendant’s left and right foot. WELD COUNTY, Colo. — In a motion filed in court Wednesday, prosecutors in the Chris Watts case are seeking inked footprints of both the defendant’s left and right foot. 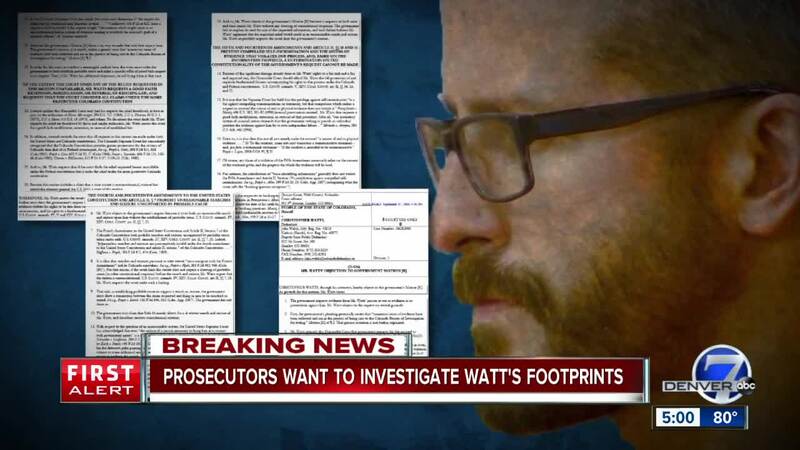 The request for Watts’ prints comes after investigators discovered possible barefoot impressions at the scene where the victims’ bodies were located, according to court documents. In earlier filings this week, prosecutors asked the judge to keep the autopsy reports private until the trial is underway, arguing the findings “could result in tainting witnesses that have not yet been interviewed” and could impact future jurors in the case. It’s unclear how soon a judge might rule on the latest motions from prosecutors. Watts remains jailed in Weld County as he awaits a status conference set for Nov. 19.